From different places at different times. The need for maori seats is long passed and there should no race based parliamentary system in nz and the same goes for councils no unelected people on local council boards. If this is not racial then I don’t know what is, and they condemn non Maori if we speak out against this act. They are now the most privileged race on earth. Do away with every thing racial and have one country, one people, one law. The ludicrous proposition to entrench separatist Maori representation in Parliament should lie dead in it’s tracks. Statistics demonstrate clearly, that people who claim a percentage of Maori blood in their veins, do not require special consideration. One rule for all citizens of this country is the ONLY admirable approach to guide New Zealand into the future. Labour are the biggest problem in all of this as this government will find themselves liable to be thrown out at the end of this term and the Maori seats are now all held by Maori. They will cling to them like the drowning man they will really be. That National have stood uselessly by and done nothing to get rid of these racially based seats is a huge disgrace in itself. Now is the time to get rid of them once and for all. I disagree as a European New Zealander of 175 years in this country and who considers that the Treaty is our founding document I think that the Maori Seats need to stay their until Maori themselves feel that they no longer need them. 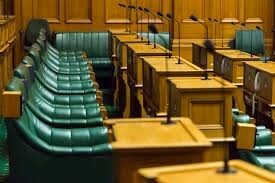 Through those seats they are able to raise issues that pertain to Maori such as education, Health Mental, welfare, and the high rate of Maori incarceration in our prisons and other institutions. I truly believe that Maori moving forward will be the savior of this country in terms of saving us from the Incorporations that have happened in other parts of the world. And lets face it when we present our face to the world it is most often as a NZ with maori at its core. We cant have it both ways we either embrace them as a big part of who we are or not for me I cant see a way forward without their presence.